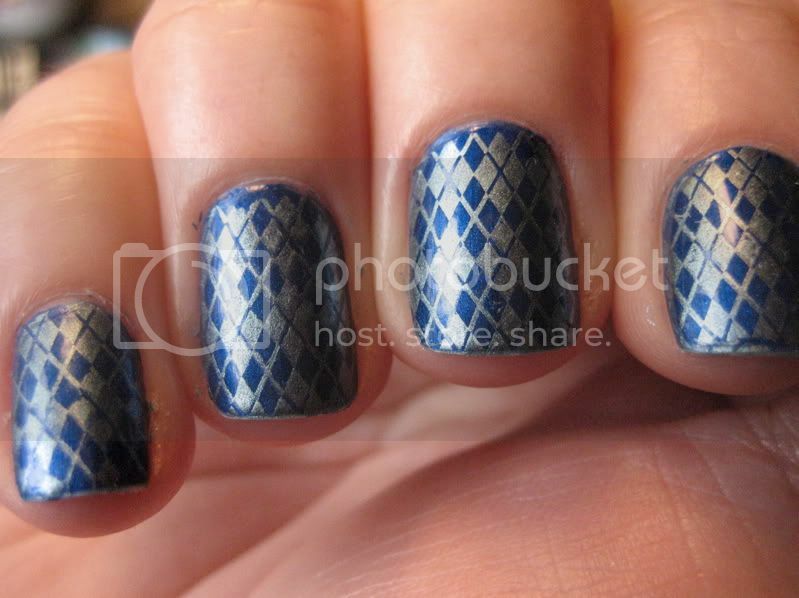 All about manicures with image stamps! Since Seche Vite is such a huge part of my manicure routine, I tend to mention it a lot. Seche Vite, however, has a learning curve associated with it. Seche Vite has to be used on wet nail polish, but it shrinks nail polish while it dries. Without the use of certain strategies, a careful paint job will wind up ruined. 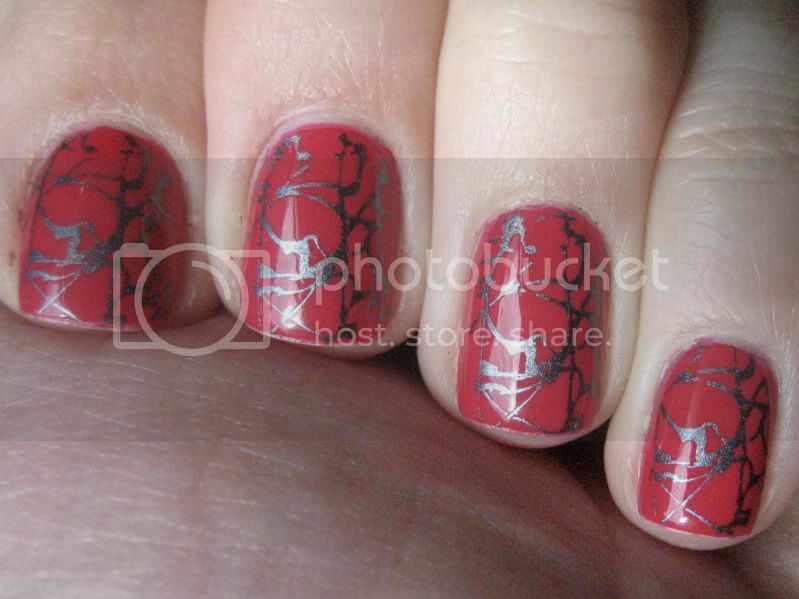 However, the picture kind of shows that I swiped across the top edge of the nail with nail polish while I was painting. Then when I did my top coat, I swiped that across the top edge as well. That way, if Seche Vite wanted to shrink my polish it wouldn't be able to - it wouldn't have anything to pull back from, since it was "tucked under" at the tip. It's rather like when you're curled up in bed on a cold night, and you're pulling on your blanket to get it closer to your chin. If it's been tucked in well at the foot of the bed it won't budge. If it hasn't, it pulls up easily... and leaves your feet cold. Anyway, once I started painting the tips of my nails, I started feeling the Seche Vite love. Before that I hadn't been so sure. The other thing, and I mentioned this yesterday, is that you absolutely cannot use Seche Vite over dry polish. I generally do my imaging a few minutes after doing my base color, so using Seche Vite on top of the image works just fine. However, if I paint my nails and don't wind up doing images until a day or two later, I can't use Seche Vite on top of the design without adding a layer of another base coat first. That way my Seche Vite is still being put on top of wet polish (the other base coat) and won't peel the dry polish off. Usually, though, if I've used another top coat I'll just wait it out until it's dry rather than putting the Seche Vite over it. Heck, if I'm sitting around putting designs on my nails odds are I'm not in a rush to go do anything else! One last thing: Seche Vite thickens up like the dickens over time. If you're going to be using it, you'll need to buy some nail polish thinner (I actually bought the thinner made by Seche and like it a lot). A few drops here and there keeps the consistency the way it should be. Yes, Seche Vite is rather a pain. Sometimes you put up with some side-effects because you know a medication will get the job done, and using Seche Vite really isn't much different. One coat of Seche Vite will, in just 5 minutes, dry your manicure enough that you can easily go about your regular tasks without fear of smudging. Within 10-15 minutes you'll be 100% dry. Being able to paint my nails and go to bed shortly after I'm done is a dream come true for me, and completely worth implementing these little strategies. 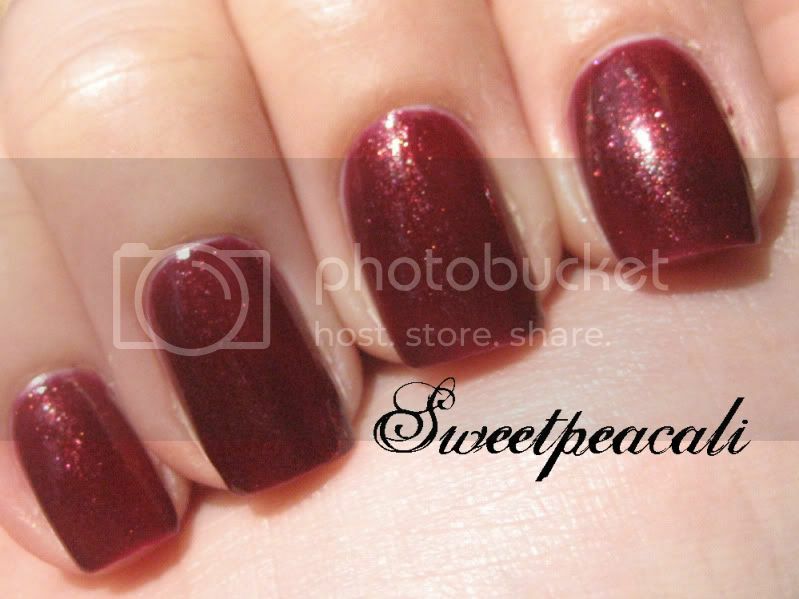 Plus, the shine and wear I get from Seche Vite is unbelievable. Times when I'm busy or simply not as fickle as usual, I can easily get a week or more from my manicure without chipping or much tip wear. In short, Seche Vite has a learning curve to its use, but my goodness, it sure is worth it in the end. this is a great posting! btw: I did notice NailTek II shrinks my polish, too! So, you wouldn't recommend reapplying another coat of seche vite a couple days after? That wouldn't help prolong the manicure? Or would it cause the polish to lift? Cassandra, another coat would definitely cause lift. I always do 2 coats, sometimes one right after the other and sometimes a day or 2 apart. I never have lifting problems but I always cap the tip. If I don’t do 2 I get normal chipping like with any other top coat.